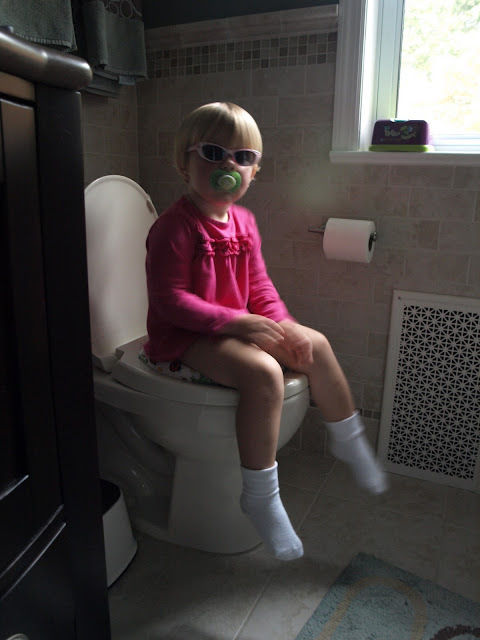 If there were a contest for coolest potty trainee Ana would totally win hands down. 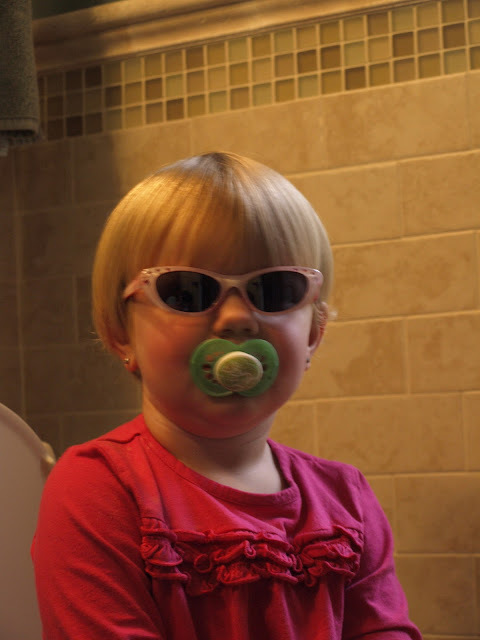 I mean... have you ever seen anyone look THIS awesome on the potty???? Not that we're ACTIVELY potty training or anything. Ana isn't even 2 1/2 yet. But... she LIKES to sit on the potty. She pees EVERY SINGLE TIME she sits. (That could have something to do with the obscene amount of Juicy Juice consumed in our house on a daily basis.) We have dreams of having a diaper free household by 2011 though. A mom can dream.